Watopia’s “Road to Sky” route is the shortest route which includes Alpe du Zwift, a massive climb modeled after the iconic Alp d’Huez. Looking for your fastest time up the Alpe? 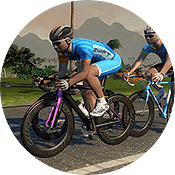 Check out Fastest Bike Frame and Wheelset for Climbing Alpe du Zwift. If you choose this route for a freeride you’ll begin on the pier near the seaplane, just before the start of the Epic KOM. 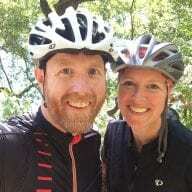 You must then ride the first little climb, across the bridge, and to the bottom of the jungle before you hang a right and begin the Alpe du Zwift ascent. The route ends at the KOM banner atop Alpe du Zwift. 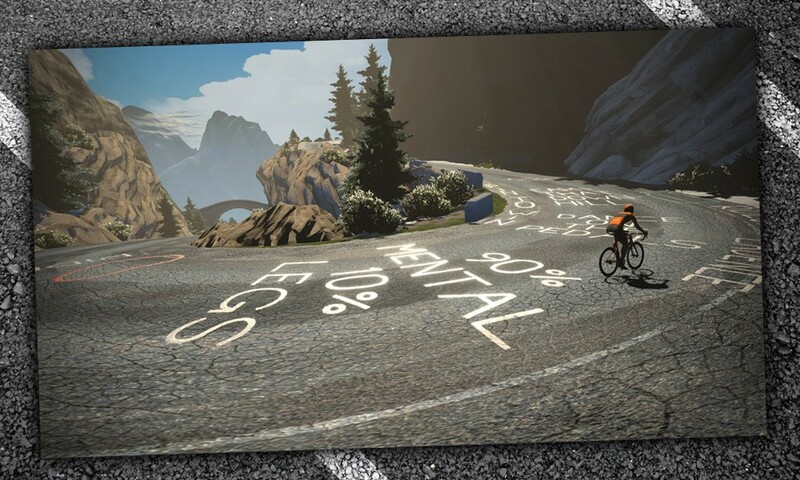 Like all Alpe routes, Road to Sky is restricted to Zwifters level 12 and up unless you access it through an official group ride. So who are all these people who have been on the new climb. Setting Strava segments. All a bit SUS is this. This rocks! Riding Alpe du Zwift tonight. wouldn’t the quickest way up be from the jungle loop and then ‘manually’ change directions during the loop? Yes, it is, actually, it’s a bit of a short warmup, though. Given that the Alpe Du Zwift is a tough climb, it would be nice if if could be started right at the bottom of the route rather than at the seaplane. I just turned level 12 but I don’t see the climb available. Do I have to wait until a certain day to ride it? hello, have reached level 14 and twould like to thank you for all this information. I want to select road to sky when offered to select the road on the menu at the beginning but …it is not there. I even did it already by joining a group the other day but would like to be able to get into zwift say right now, click select road, cselect road to sky and be off…. ANy tip? thanks!! !